A wedding is a union of two souls. But marriage has now transformed into a status symbol. Thus, everybody wants to add more glamor, color, and drama to the functions. A destination wedding is something that is very much in vogue now. Hence, it is not surprising that we have come across some amazing pics of wedding destinations on FB & Instagram. This incredible wedding destination is situated on Delhi-Jaipur Highway and appears to be a fantasy for couples who wish to take their wedding vows amidst the grandeur of the fort. The outdoor garden with rustic features beautifully compliments the sophisticated interiors of the fort. 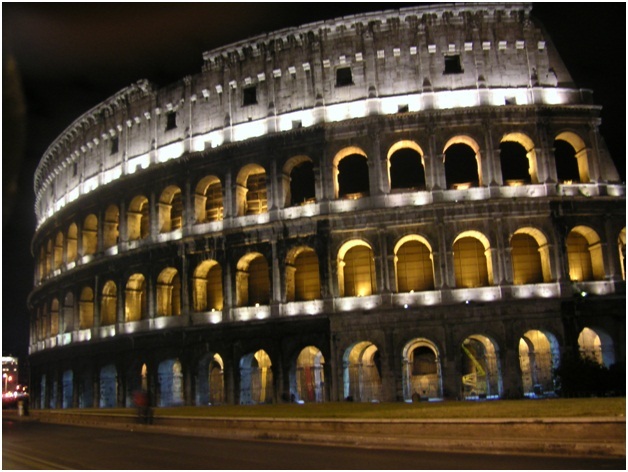 This place now has a Roman amphitheater which has enough room for 200 people. Hanging gardens and ‘Uncha Bagh’ is perfect for day and night functions. Neemrana fort is one of India’s oldest forts with modern equipment. There is also a pool deck which serves as an attraction for starlit weddings. Desire a fairytale wedding? 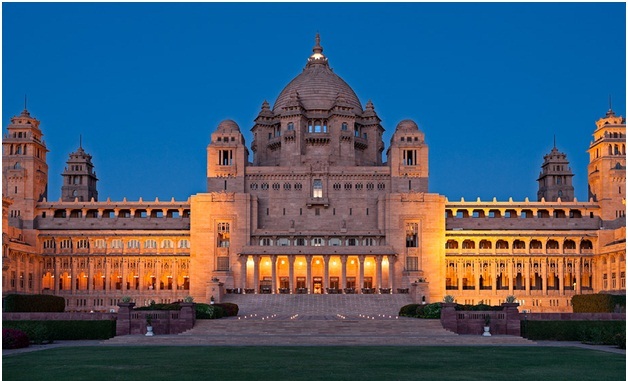 Umaid Bhawan is your answer. This place, adorned with fountains and flowerbeds, has been awarded as the best in the world in terms of wedding destinations. The elegant dining area and bar makes the ambiance more lovely. 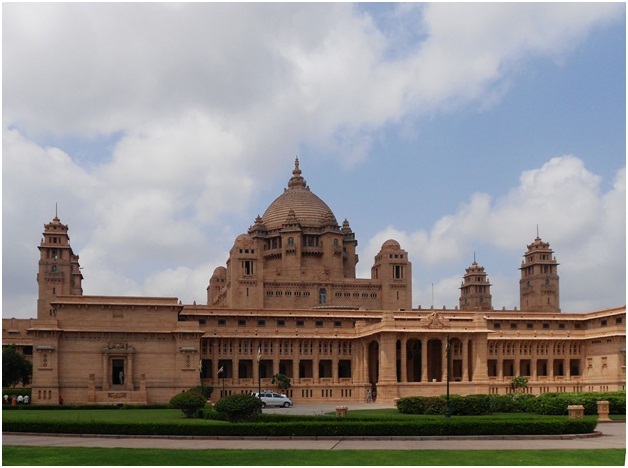 Umaid Bhawan is capable of accommodating 250 guests in the Marwar Hall. Whereas, the Museum courtyard has room for about 100 guests. Though this palace was exclusively built for Maharaja Sir Ajit Singh, the younger brother of Maharaja Sir Umaid Singh, it has now been transformed into a heritage hotel serving as a luxurious venue for weddings. This hotel is decorated with a quadrangle courtyard along with arched windows and carved balconies. Some authentic Rajasthani cuisine and folk music is going to give you a royal experience. This place is sure to render you the century’s best luxury. Inspired by Mewar and Mughal architecture this place is adorned with domes, enameled murals, slender columns, and grand interiors. This hotel features a high ornate- Amar Mahal Hall with elegant chandeliers, jharokhas, and carved arches. It has spacious rooms with a 450-acre oasis which serves as a perfect setting for your luxurious wedding. You can definitely expect a grand procession led by elephants and horses. Special theme evenings with lavish dinners on sand dunes, surrounded by traditional folk music and dancing. To add up to your amazement, your evening will be decorated with Indian classical dancers, fireworks, and lightning. Dipped in Rajasthani culture, this place has a unique charm. Located in the Aravallis, this venue has enough room for around 350 guests. This place is divided into lavish Garden Suit Lawns, Main Lawn, Poolside Venue and Reception Lawn. There are 39 suites and 8 tents within the palace. The wedding ceremonies usually take place within the enclosed ‘Durbar Hall’ and Silver Lounge- both the places offer intricate designs and a mixture of traditional and modern aesthetics. The Durbar Courtyard serves as an ideal place for cocktail parties and can accommodate up to 40 guests. From the Restaurant Deck, you get the best view of the sunset, making it an ideal breakfast, drinks, tea, dinner venue which can hold up to 45 guests. You can also set up a stage for live performance and a bar here. This place is an exotic venue for your destination wedding. It is going to take good care of every aspect of your wedding. Among the services offered by the hotel are- lavish menu, intricate decor, security, and entertainment. You will also be offered complimentary services like wedding photography, babysitting, a beauty salon, mehendi, and turban tying artists. 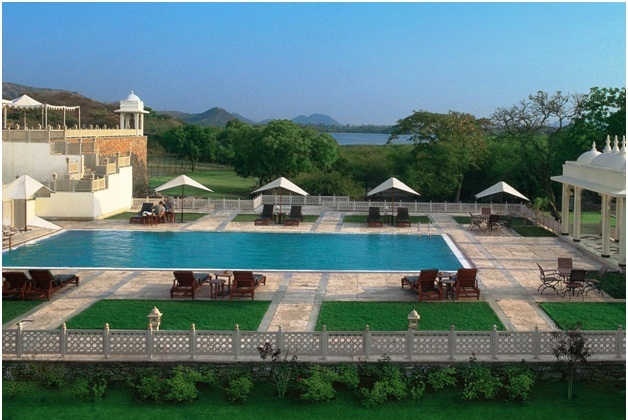 Lalit Laxmi Vilas is a specimen of royalty in Udaipur. 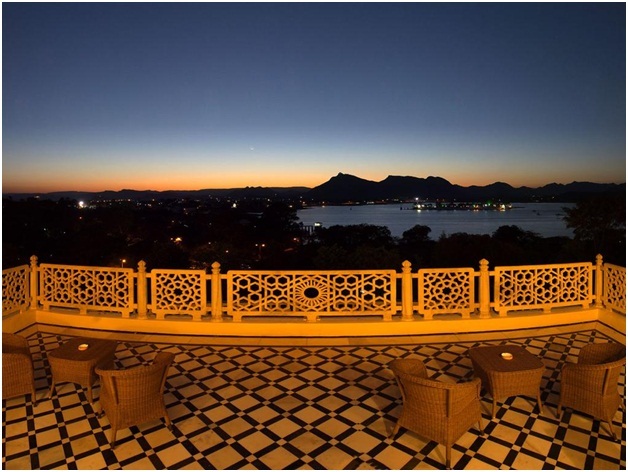 It presents a wonderful view overlooking the Fateh Sagar Lake and offers a beautiful view of the Aravali Hills and Sajjangarh palace. 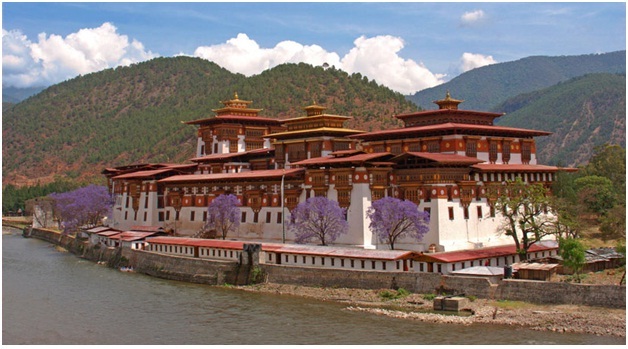 This place offers a mixture of modern luxuries and royalty. For a pre-wedding function, the Amrapali Lawns and Zen foundation would be the perfect choices. Your wedding is going to remain an unforgettable affair. 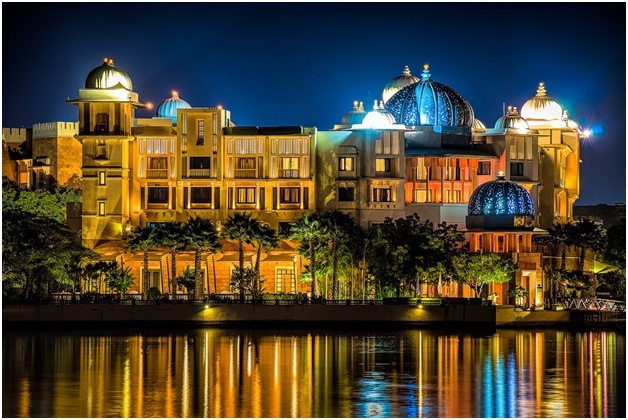 Situated on the bank of Pichola Lake, Trident hotel is one of the best choices for its picturesque beauty. This hotel serves a perfect amalgamation of modernity and traditionalism. It is easily accessible to the center of the city and is sure to supplement with all things required for a memorable wedding. Built in the Mediterranean style, this place is a popular destination for luxury weddings. With a total area of 56 acres, this place can accommodate up to 500 guests on the Sea Facing Lawns overlooking the Arabian Sea. Along with this, the hotel has Indoor Banqueting Halls- Sala Grande and Sala Medis. While the former can be used for hosting the wedding, the latter is suitable for other ceremonies. Spread across 75 acres along the sea in South Goa, this place is one of the finest places for your wedding ceremony. With an amalgamation of Portuguese and Vijayanagara architecture, wedding at Leela Resort is a dream come true. With a room to hold 600 guests, this place is an exotic setting with luxurious surroundings. These were some of the destination wedding venues. However, there are many such venues that promise to make your wedding more memorable in your life.